A fresh new addition to our Food Hall. 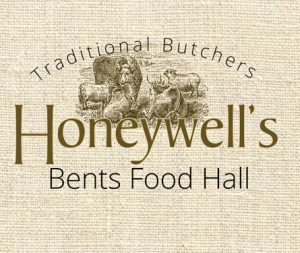 Honeywell’s is a family owned butchers based in Preston who pride themselves on supporting the local farming community and providing customers with the finest selection of local produce. Their new butchery at Bents features a traditional preparation and butchers area with glass fronted cold rooms allowing customers to see and experience the preparation of their produce. From family packs of free range chicken and succulent cuts of steak to a mouth-watering selection of home-made sausages and indulgent burgers, there’s something for everyone to enjoy. Can you please advise if it is possible to place an order for Christmas poultry from Honeywell's, vis this site? Thank you for your interest in Honeywell's at Bents, you can place Christmas orders in store at the Honeywell's counter. Unfortunately we are unable to offer this service online. We love your butchery counter and we make a point of getting over to your section whenever we visit Bents. Can you tell me if you supply fresh lambs kidney. We live in South Manchester and it is a 24 mile round trip which is a long way if you don't have what we are looking for. Many thanks. calling 01942 266 300 Ext 706.
will you have any turkeys for Easter? Thank you for your interest in Honeywell butchers at bents. I have enquired with the team they will not be stocking full turkeys over the Easter weekend. However, they will be stocking boneless turkey crowns; these need to be pre-ordered which can be done by calling 01942 266 300 ext. 706. Thank you for your enquiry. Tomahawk steaks are available at £16.79 per kilo. If you need further information, please feel free to get in touch. Do you sell pork cheeks? I have spoken with Honeywell’s Butchers who expect to receive stock of pork cheeks on Monday 12th November. As they are the experts, they have requested that you call them for further information. Should you wish to do so, please call 01942 266303 and use extension number 706.